Are you approaching a busy retail period like a flash sale? Are you already starting to prepare for the Christmas shopping period? In both situations, you will need some additional processing card machines to handle the increase in sales traffic. Are you in need of extra Chip and PIN card machines but don’t want to commit to a lengthy long-term contract? Look no further. At Wireless Terminal Solutions, we offer short term Chip and PIN terminal rental for as long as you need them. The service we deliver to the end user has been designed with simplicity and flexibility in mind. Our representatives will provide a bespoke solution tailored to your business needs. Not only are we more cost effective than most of our competitors, but our general turnaround time is typically 24 hours, the quickest in the industry and we excel in late bookings! WTS aims to provide our customers with exceptional service, first class payment solutions and ongoing support to ensure that WTS remains ours customers’ preferred credit card machine supplier. Do you require additional swipe card machines for a forthcoming pop-up shop? Perhaps you don’t have a contingency in place without ADSL lines? 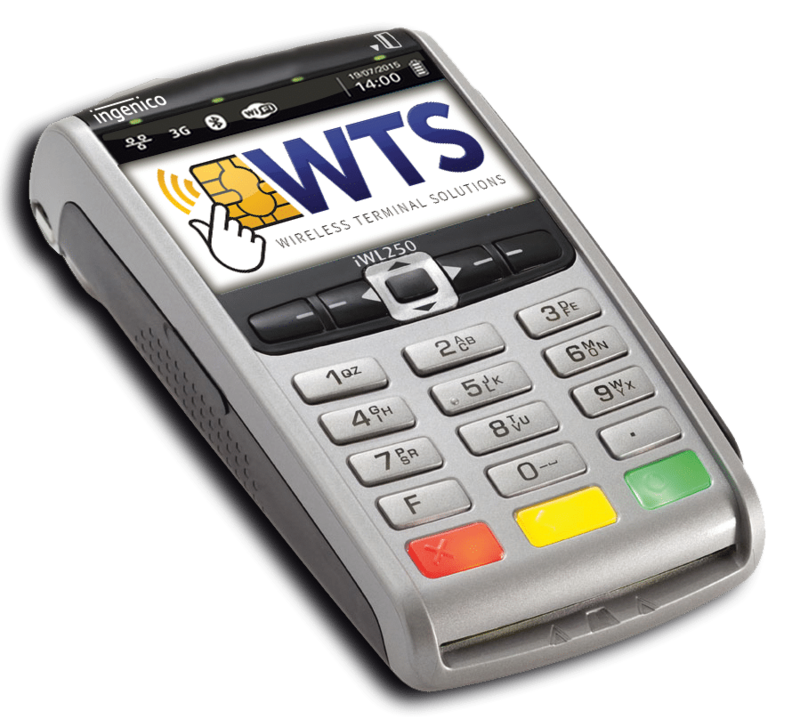 Wireless Terminal Solutions manual credit card machines are the perfect solution and will allow you to take card payments, and maximise every sales opportunity! A study of consumer spending recently found that 73% of people prefer to pay by credit or debit card even if they’ve got cash in their pocket. Don’t put up a barrier to growing your business – give customers what they want. Using our Contactless card machines is guaranteed to improve your customer service and this will only continue to increase with the introduction of Apple Pay. Not only does contactless technology help you serve more people quickly but the speed of this groundbreaking technology will reduce waiting times. If you are a small business looking to process credit card machine payments, then building a reliable reputation from the word go is key to your business success, and showing that you are ready to take card payments is a sure fire sign that your customers can trust in your services. At WTS we understand that every business is different – no matter your individual challenges, you need the right payment solutions to ensure you can deal with them efficiently. Don’t get left short with your short term rental – purchase your thermal till rolls and other card machine point of sale accessories by visiting the WTS online store. Not only do we offer competitive pricing on a variety of payment accessories but we also offer next working day delivery (if you order before 1pm). Keep ahead of your competitors with additional thermal till rolls. Perhaps you are looking for a bespoke till roll with your business logo, please contact us to discuss your requirement. To discuss hiring additional card machines for your business or to learn more about other payment solutions we offer, please contact a representative now on 0845 459 9984 or email sales@wirelessterminalsolutions.co.uk.